Ok, so anyone who is following me on Instagram or Twitter will know that I’ve become obsessed with Flormar, a brand who have just recently introduced themselves in Ireland. I’ve been posting little snippets of my favourites for weeks now, so today I’m going to share a full post reviewing my must-haves. With contouring remaining a huge trend on the make-up scene, a good bronzer is an essential tool in any kit. 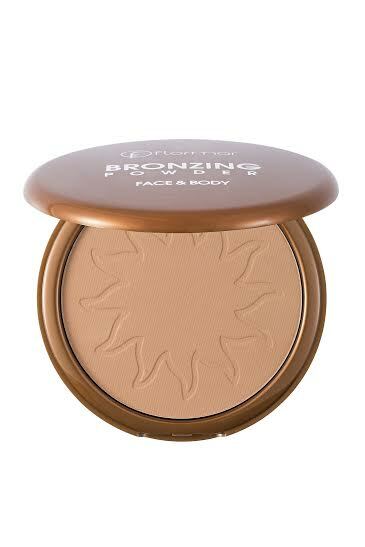 Check out Flormar’s ‘Bronzing Powder Face and Body’. Those of us who don’t tan will know that finding the correct shade of bronzer is a tough task, unless you favour the oompa loompa look. However, this Flormar powder is available in a perfectly subtle shade for fair skinned folk – result! The RRP of the bronzer is €9.95 and because it is positively huge in size, the value for money is insane. I’ve been using the product by applying it to the hollows of my cheeks with an angled contouring brush. 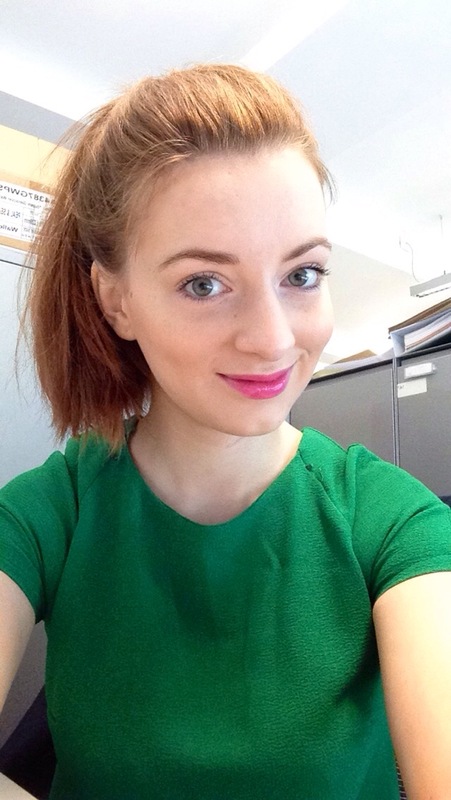 Next up, I am madly in love with the ‘Long Wearing Lip Gloss’ in the shade ‘Backstage’. When I first received this colour in a goodie bag, I was majorly apprehensive of the super bright shade. However, I quickly learned that the formula can be layered for desired colour intensity. At €5.95, I couldn’t walk past one of these glosses in a pharmacy without picking it up. Finally, we have my favourite Flormar product. 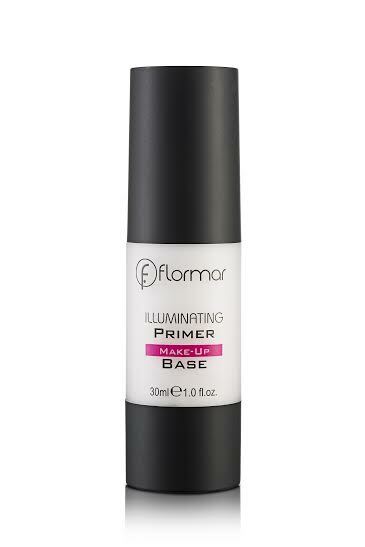 This ‘Illuminating Primer Make-Up Base’ is liquid gold. I’ve tested it for both day-time and night-time wear and love the results. 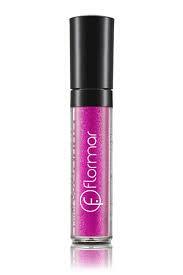 The formula creates a smooth base for make-up application. It is super hydrating and evens out dry patches while retaining a mattifying effect on skin. The best part is that the primer ensures that make-up remains on the skin for an extended period of time, eliminating the need for foundation touch ups. At €9.95, this product will be replacing more high-end versions in my make-up kit. Flormar products are available in selected pharmacies nationwide and online at Simplyfoxy.com. What do you think? Will you be purchasing? 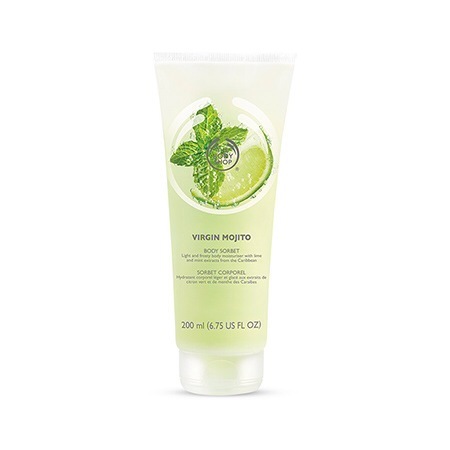 The Body Shop ‘Virgin Mojito’ Range. If you follow me on any form of social media, you will know that I am a huge fan of cocktails. In fact, I have been known to drag unsuspecting friends out for brunch simply for some fruity refreshments. My favourite, you ask? Well, James Bond can keep his Martini – make mine a Mojito. The zesty lime and tingling mint flavours make a Mojito and experience for the senses. They not only taste great, but also smell delicious so when I heard that The Body Shop were releasing a ‘Virgin Mojito’ range, I expected to be a huge fan. I was sent the ‘Virgin Mojito Body Scrub’, ‘Virgin Mojito Body Sorbet’ and ‘Virgin Mojito Body Splash’ and have been using them in that sequence for the past two weeks. Initially, I’ll admit that I was a bit apprehensive. I mean, I love the smell of Mojitos, but what would the people at work think? I didn’t want anyone under the illusion that I’d undertaken a new diet involving cocktails for breakfast! I needn’t have worried, The Body Shop have created this range based on the Caribbean scents associated with Mojitos, rather than the alcoholic ones. Each product unleashes a burst of fruity fragrance upon application so steer clear if you’re not a fan of sweet scents but, I for one am OBSESSED! 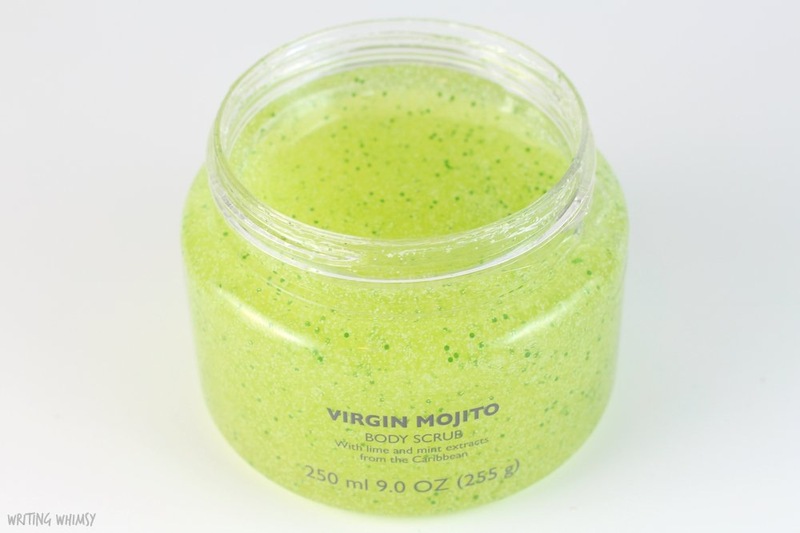 First up, we have the ‘Virgin Mojito Body Scrub’. This is my favourite product of the range. I’ve been applying it to dry or slightly damp skin and massaging before rinsing it off in the shower. It’s a very gentle scrub so if you’re looking to remove lashings of false tan, you may need something more heavy-duty but this is perfect for regular, everyday exfoliation. My skin has become significantly more healthy looking after just two weeks of use. Next, I’ve been using ‘Virgin Mojito Body Sorbet’. I wasn’t a huge fan of the texture of this lotion when I began using it because it is a gel consistency rather than a cream one. I love my rich, luxe body butters but after using the ‘sorbet’ formula for a few weeks, I have grown used to it. Due to the fact that it is a light moisturiser, this product would be perfect for those with oily skin. 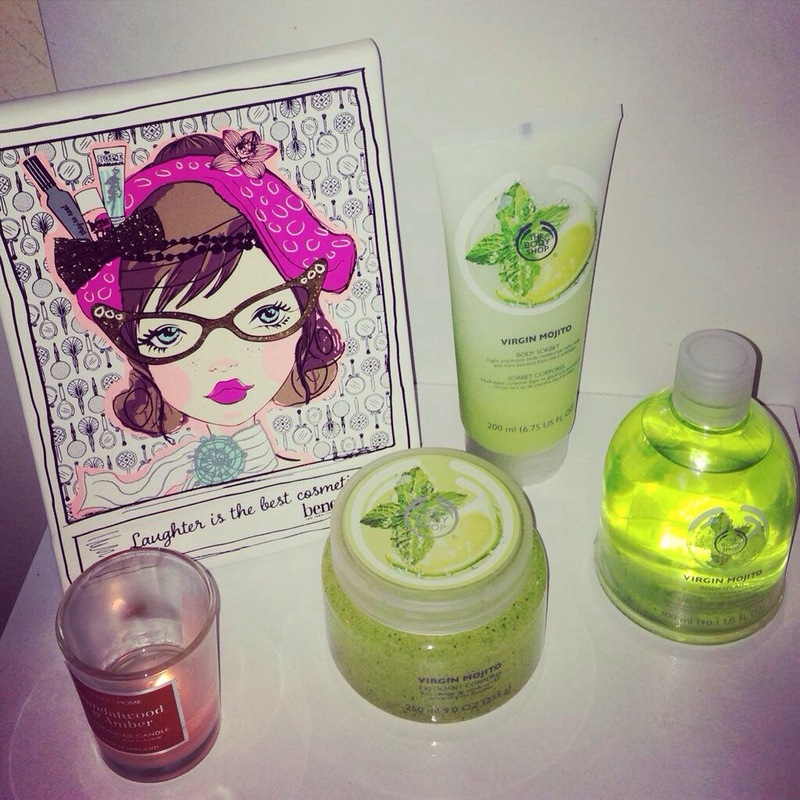 Finally, I have been drowning myself in the gorgeous ‘Virgin Mojito Body Splash’ after every shower. I just cannot get enough of this scent. The fragrance is zesty and sweet, ideal for the summer season. It also clings to skin for hours after application so it is great value for money. I’ve actually been reaching for it in the place of expensive perfumes lately. Overall, this range is well worth a look if you enjoy a fresh, fruity fragrance. If you want more information you can visit The Body Shop’s website. What’s your favourite skincare range at the moment? ‘The Tan’ – My Review. Every single day for the past 15 or so, my phone has been sounding daily reminders which inform me that I am on “day 12″ of my ’30 Day Abs Challenge”. 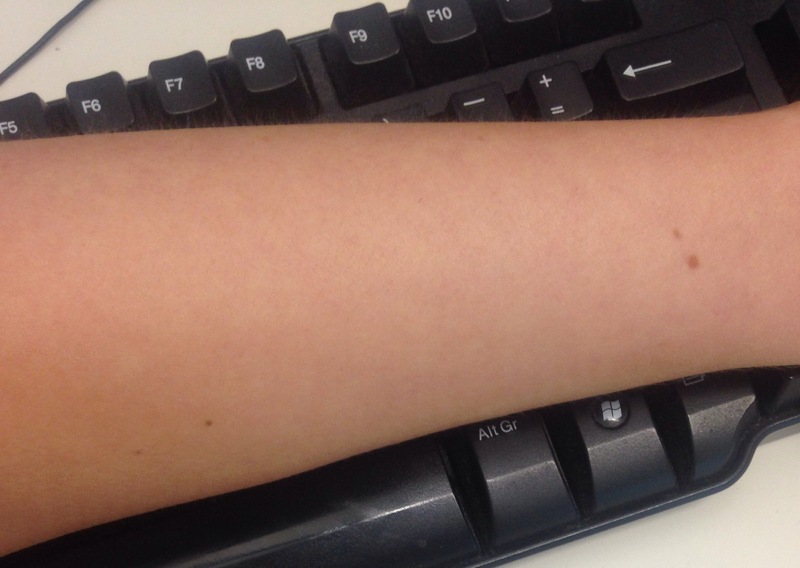 Yes, I am as lazy as sin but I’ve found a solution – I can’t tone it so I will tan it instead. 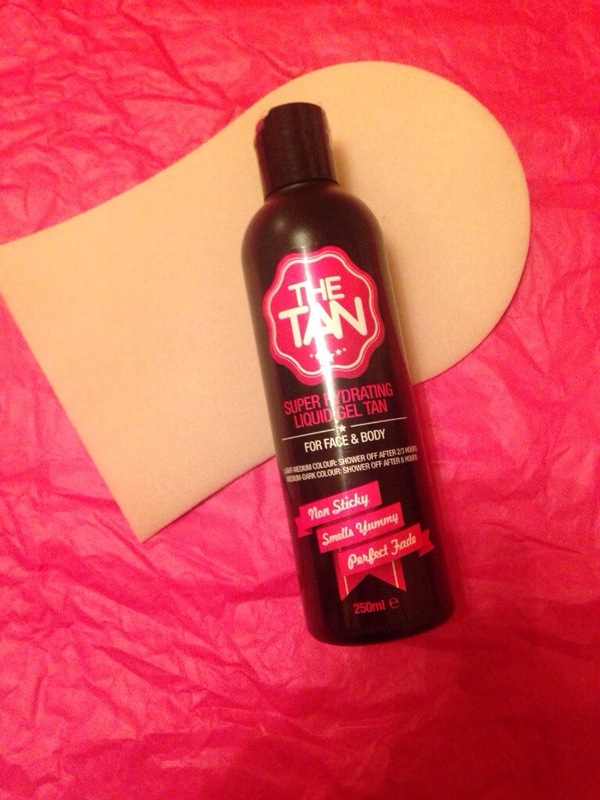 I was recently sent a bottle of ‘The Tan’s Super Hydrating Liquid Gel Tan’ to sample and review for you all. 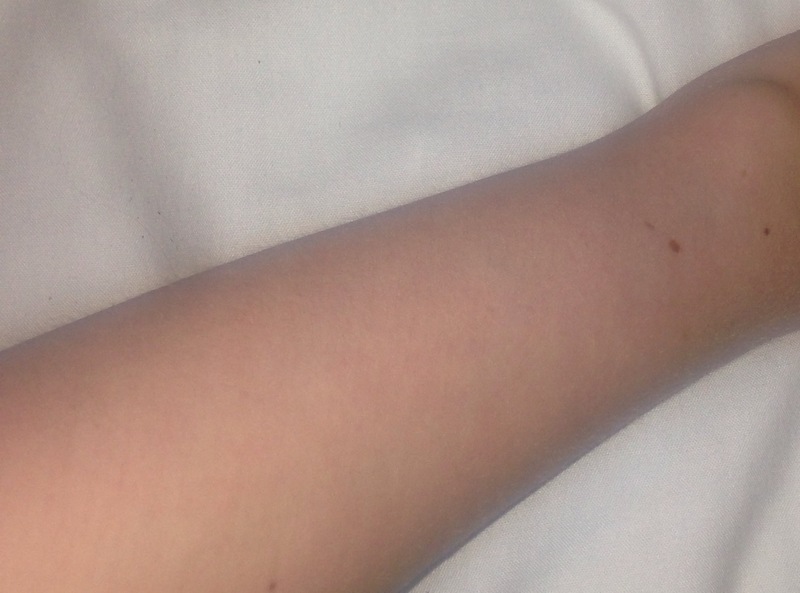 Now, you probably already know that I am the palest girl in the parish so, I use false tan fairly regularly. This means that I have become pretty critical so, if the formula isn’t perfect, I don’t want it. However, ‘The Tan’ ticked all my boxes. ‘The Tan’ is the brainchild of Jennifer Butler and Jennifer Swaine, owners of the Vanity Rooms salon in Dublin. They’re experts in their field, so obviously I expected this formula to be flawless. It promises a golden bronze colour without the hideous scent associated with false tan but, does it deliver? You know that my seal of approval is difficult to gain, but The Tan has it 100%. I am in love with the perfect shade, watermelon scent and streak-free appearance of the formula. And, the best part is that the product is really hydrating. It contains hyaluronic acid, shea butter and sunflower oil so you don’t even need to apply moisturiser before application. This particular product retails at €22.99 which is pretty pricey but you need only use a small amount per application. After all the compliments I received whilst attending the Ed Sheeran concert in Croke Park this weekend, I will definitely be popping into the Vanity Rooms to try the professional spray version of the formula. Why not visit The Tan’s website and check it out for yourself? Are You Made of Tough Stuff? Anyone who follows me on Twitter will know that I’m a huge fan of Cocoa Brown’s ‘1 Hour Tan’ mousse. Tanning Thursday has become a ritual in my house but by Monday my skin can appear a little dull as stubborn tan clings on for dear life. I usually end up looking like I have a rare skin condition which renders me ghostly white with perfectly tanned elbows and ankles! However, it would seem that the ever clever Marissa Carter can solve all of my problems. 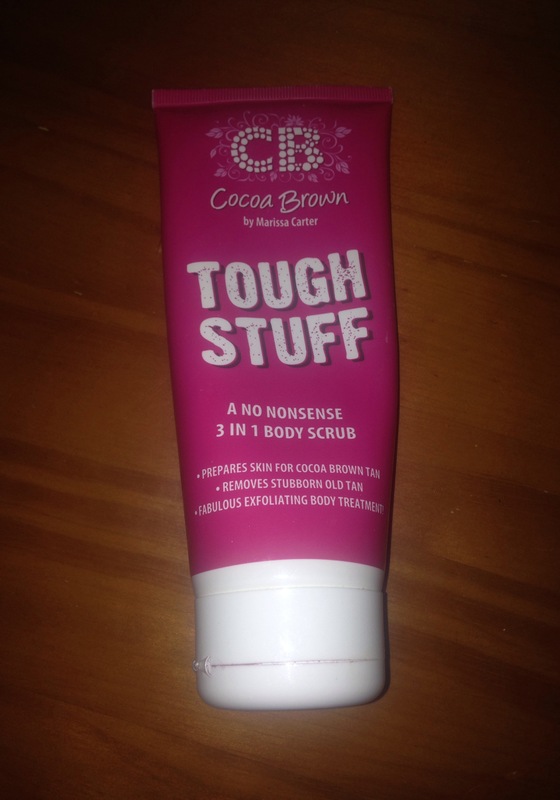 Cocoa Brown have developed their own body scrub which is aptly named ‘Tough Stuff’. This formula promises to prepare skin for self-tanning, removes stubborn tan and operates as a regular body exfoliator. But, does it live up to expectations? Why, of course it does! Another high quality product from a fabulous Irish company. You can apply the formula wet or dry (I prefer dry for a deep exfoliation) and skin becomes squeaky clean. It is a heavy-duty scrub but it’s not harsh on soft skin. Orange patches be banished! This scrub is lightly fragranced with the nice floral scent which has become the signature of Cocoa Brown products. Best of all, ‘Tough Stuff’ is available in pharmacies nationwide, Penneys, FeelUnique.com and Cloud10beauty.com for the bargain price of €4.99. I hope you love it as much as I do! Have you tried any of the other products from the Cocoa Brown range? Next on my wishlist is ‘Gentle Bronze’, their gradual tanning moisturiser. In recent times, coconut oil has become the holy grail of ‘multi-purpose’ beauty products. Celebrities everywhere are crediting it for their good looks and I’m a sucker for a celebrity secret. So a few weeks ago, I popped to my local Cara Pharmacy and picked up Ultrapure Labratories’s ‘100% Pure Coconut Oil’ (approx €5). 1) Coconut oil is a nifty eye make-up remover. Just place on a cotton bud and sweep across hard-to-remove eyeliners and mascara. 2) This product is a great chemical free hair mask. Just rub throughout the ends of hair (avoiding the roots) and leave for an hour to soak in. Then wash hair as usual. Hair will feel softer and appear more healthy. 3) I’ve ditched the high-end moisturiser and substituted if for this natural formula. 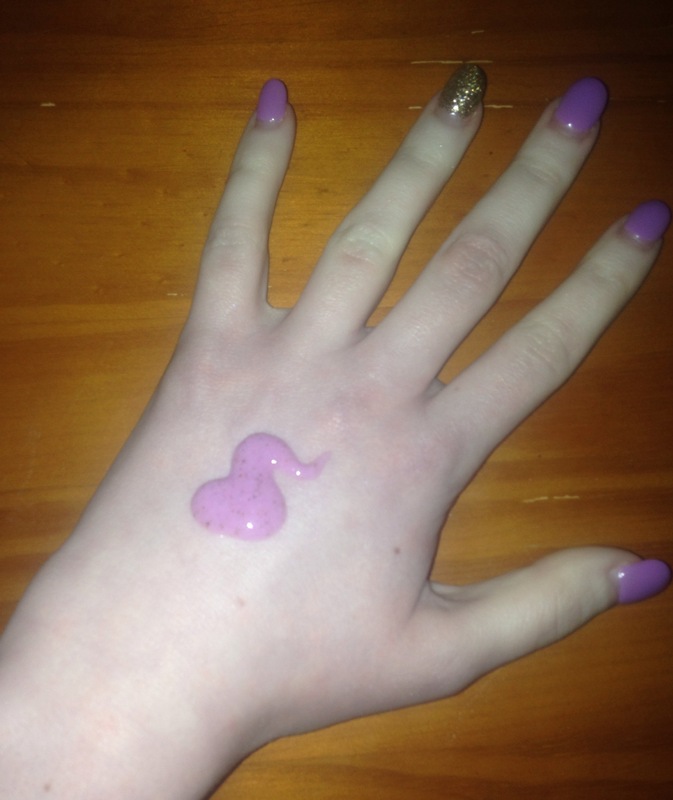 Just melt the product between hands and use it as an all over body moisturiser. A top tip here is to rub a little on legs before a night out in a dress to create shiny Beyoncesque limbs. 4) Coconut oil is great for banishing blemishes. Just apply a little to the affected area before sleeping and the anti-bacterial formula will work wonders. 5) Coconut oil works well as a lip balm. That is what I call multi-purpose! The Coconut Oil that I purchased is not tested on animals and is made in Ireland. Let me know if you know any more ways to use this wonder product! White Buns Only Look Good On Hamburgers. A new review from what has become my ritual ‘self-tanning Sunday’. This week I tried a product which was entirely new to me and I was pleasantly surprised. Usually, I dislike ‘liquid tan’, preferring a nice mousse formula like Cocoa Brown’s but after receiving He-Shi’s ‘Express Liquid Tan’ as a gift from my generous auntie, I said I’d give it a go. 1) Shave legs at least 4 hours before tanning and cover body in a light moisturiser (I used natural coconut oil). 2) Apply tan using a tanning mitt, in a circular motion to avoid streaking. Use a generous amount of tan to create a noticeable glow. 3) Mix three drops of the tan with a generous amount of a light facial moisturiser (I used three pumps of Benefit’s ‘Triple Performing Facial Emulsion’). Apply evenly to the face and neck. 4) Allow tan to develop (I left it overnight). To be honest when I woke up this morning, I wasn’t sure what to expect. But, oh my god – it’s glorious! My new holy grail of tanning – expensive but very worthwhile. The tan is indeed odourless and streak-free. I look like I’ve just come home from a week in Spain and it has me smiling from ear to ear. I intend to cover with a layer of illuminating moisturiser tonight – will post pictures on Twitter tomorrow. Let me know what you think.